← Centrale Bacolod – We are now on Pinterest – Follow us and rePin! Posted on March 12, 2013	by . 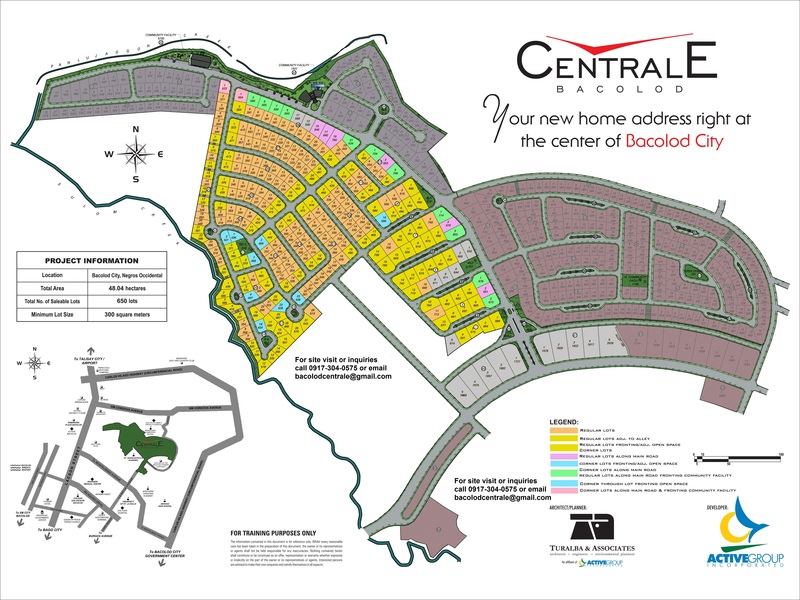 Click on the photo below and then enlarge to see a clear view of the Centrale Bacolod site development map. Developers are offering lots in Phase 1, close to the St. Scholastica’s Academy side, with lot sizes of 300 to 900+ square meters. Lot prices start at P6,500 to about P7,200 per square meter. To see more photos and videos please click the ‘tag cloud’ at the right side bar or the tabs above next to ‘Home’ and ‘About’. You may print this map or get a clear hard copy by calling 0917-304-0575 or by requesting for one through email at bacolodcentrale@gmail.com. Follow this blog or LIKE us on Facebook for updates and easy access to our licensed and ‘Centrale accredited’ agents. Thank You! This entry was posted in Centrale Bacolod and tagged Bacolod Centrale lot prices, Centrale Bacolod, centrale lots for sale bacolod, Lots for sale Bacolod. Bookmark the permalink.